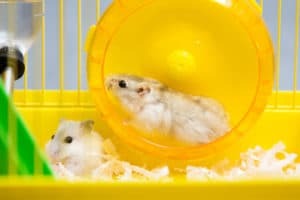 Are You Stuck on the Hamster Wheel of Renting? The cost of living continues to go up. Not only have home prices risen, but the cost of rent is rising at an even faster pace. And when you rent, you can pretty much expect for it to increase year after year. In fact, a recent article by ConsumerAffairs, stated that the cost of rent rose 0.5% in June. So why not take the leap and own your own place? There are so many benefits to homeownership. Not only can you protect yourself from rising rents by locking in your housing cost for the life of your mortgage, but you are able to make it YOUR OWN. If you want to paint the kitchen purple, by all means, go for it! You won’t have to worry about painting it back to a neutral color when your lease is up because YOU OWN IT! A lot of people think that they cannot afford the down payment to own a home. But there are several options when it comes to buying a home. Many people buy a home with a down payment of only 3%, and there are even programs with no down payment for qualified individuals. You never know until you ask. So if you are thinking about buying a home but you’re just not sure if you can afford it, just remember that your mortgage won’t go up but your rent will. Can you afford that? Call The Peters Company if you would like to see what your options are. We have great lenders that we work with on a daily basis that can find out what you are able to afford, and once we know that, we will help you find your perfect place to call home! Give us a call today at 678-921-1470! ← Signal Ahead! A look inside our seller updates!